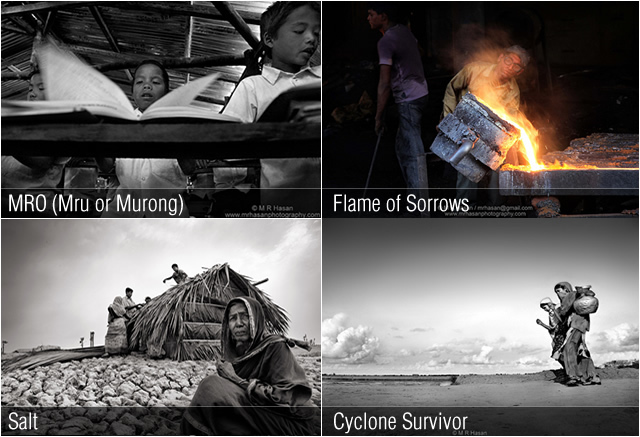 Mohammad Rakibul Hasan is a professional photographer based in Bangladesh, currently doing a “Fellowship” in Photojournalism at Asian Centre for Journalism (ACFJ), Ateneo de Manila University, Philippines. He previously studied in “Film & Video Production” at UBS Film School, University of Sydney, Australia and participated in several workshops and courses in “Film & Related Media”. 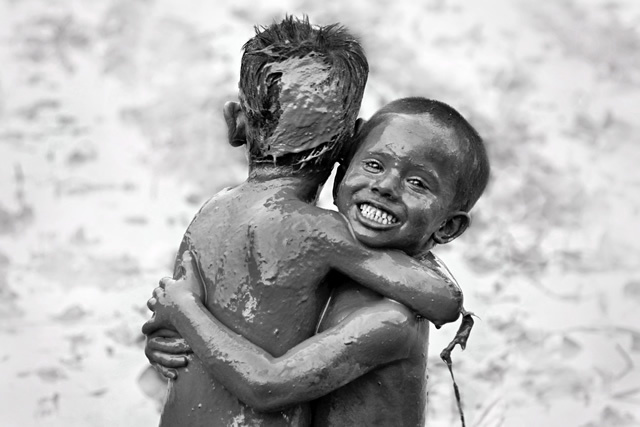 He has achieved over sixty international awards in photography and several from short films. His photography exhibited in many countries and published in international magazines, newspapers, advertising and so on. 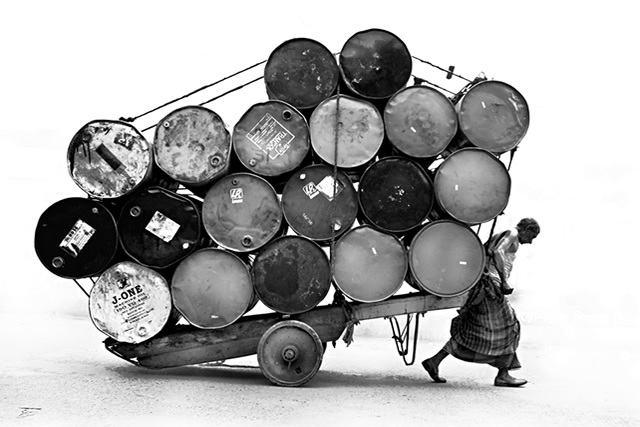 He contributes to Getty Images, the Ecologist, Tag Magazine, F Stop Magazine and the Daily Jugantor. 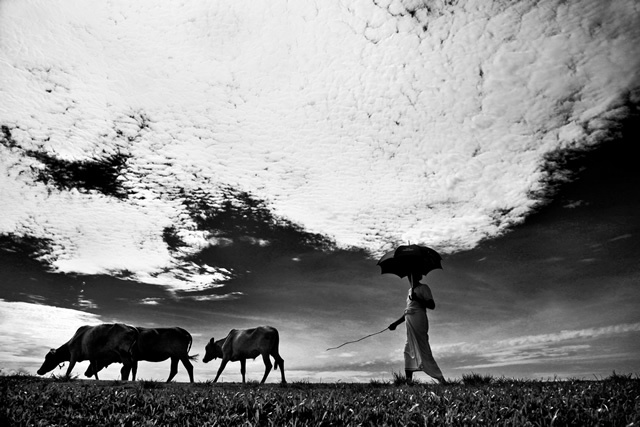 He founded “Bangladeshi Photographers (BP) – an online photography group to encourage young photographers in Bangladesh. Hi Hasan, Welcome to 121 Clicks. Please introduce yourself. Could you tell us where you’re from and how you got started in Photography? I was born in Bangladesh. I started photography in 2002 as a hobby, later I found this medium is too powerful. A single image can tell many things. I then, get involved with advertising photography and served countries leading brands. You studied in “Film & Video Production” at UBS Film School, University of Sydney, Australia. What inspired you to study photography? Motion picture to still picture! The second one is mute but it tells thousand words. I loved the idea of telling stories by single frames. My film study did help me a lot to understand better in photography. In film, photography is also a vital part. However, documentary film and photography – both are my favorite. 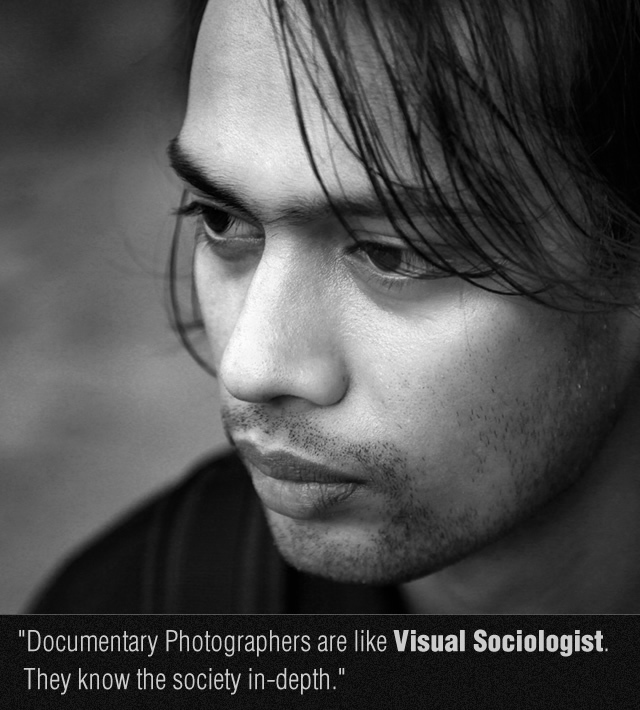 I am currently doing a Diploma in Photojournalism at ACFJ at Ateneo De Manila University under scholarship program. Academic knowledge and practical experience in photography both are important to understand the craft properly. Where would you recommend studying, if someone is interested in pursuing a career in documentary or editorial photography? International Center for Photography (USA), Asian Center for Journalism at Ateneo De Manila University (Philippines), University of Westminster (England), Bolton University (England) and Pathshala – the South Asian Institute of Photography (Bangladesh) would be better for learning photojournalism / documentary photography. What is it like being a Documentary Photographer? Documentary photographers are like visual sociologist. They know the society in-depth. Can you explain why you choose to use Black and White rather than color for most of your rural photography? However, I do shoot color of my rural subjects. But I do prefer to convert black and white if my documentary project is on the subject like harsh reality. To portray that harshness, putting color into that will be a comedy. That’s why I have chosen monochrome. Your projects like MRO, Flame of Sorrows and SALT are one of the most popular and memorable photos in your stream. Please describe about those projects? Mro (Mru or Murong) is a tribal community who used to believe their religious transcript, cloths and alphabet had been sent by God through a messenger that was eaten by a cow. They were animist for a long period of time. In 1984-85, Manly Mro first introduced their lost religion. He found the transcript and alphabet. About half of the Mro community started practicing the new religion called “Cramma”. Other half is still in naturalistic form. It’s a long term project, I still have been shooting. Flame of Sorrows is a story about workers at re-rolling industry. I just shot those pictures in three hours time. Then I never got a chance to get there as access is very restricted. 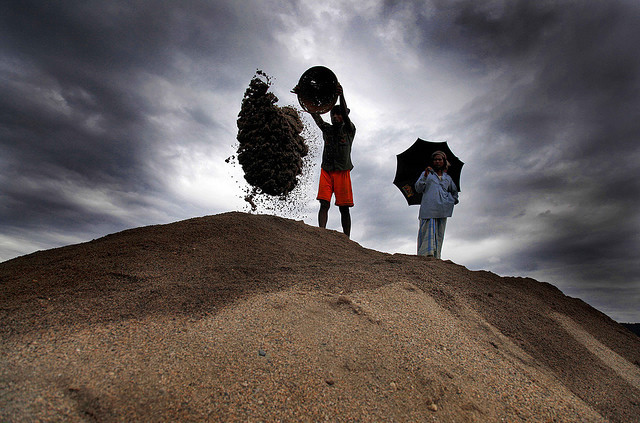 Salt is a new story on climate change and salinity impact around coastal areas of Bangladesh. Recent scenario at Gabura union (Satkhira District) is more than worst. This place is perhaps the world’s most vulnerable victim of climate change. Exodus has been started. About 30% villagers moved to Dhaka, Khulna and Chittagong even India by trespassing boarders. Salinity occupied the whole place. Crops, tress and animals are dying. There is water everywhere, not a single drop to drink. 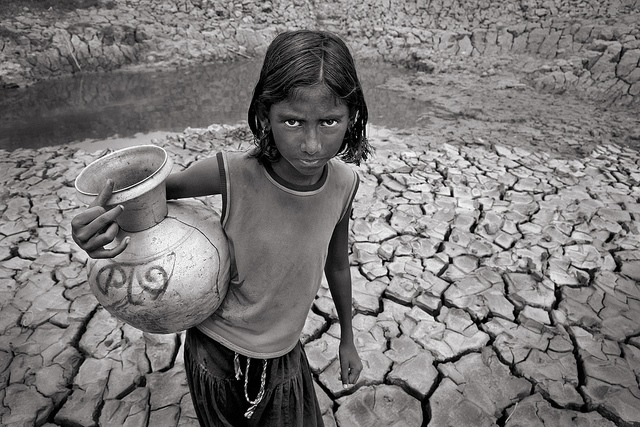 Women and kids spend half of the day collecting safe drinking water from distant places. There is a limited source of income. Honey collecting and fishing are the common profession. 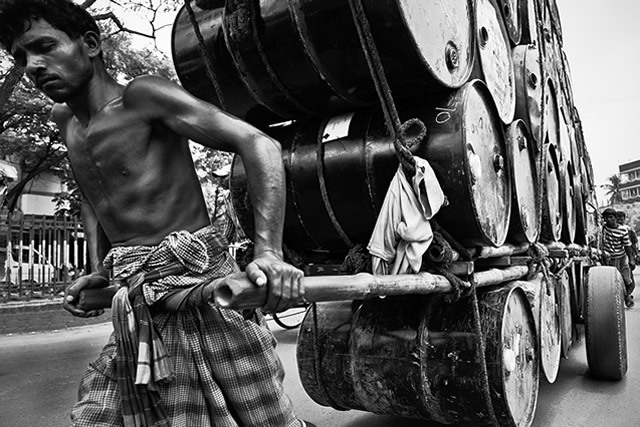 Many people get killed by tigers in the Sundarban forest while collecting honey and fishing. Climate adaptation in coastline areas is a dream theme. 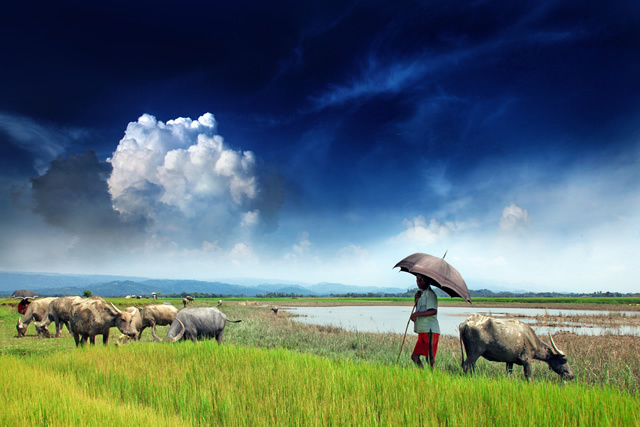 By 2050, the number of environmental refugees will reach at 20 million in Bangladesh. If sea level rises just a meter, 20% areas will be drowned. We didn’t create the cause of global warming, developed countries did. Thus we have the rights to live in their dry lands. 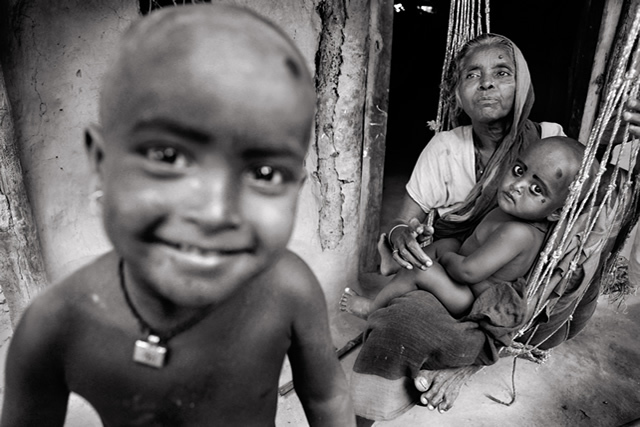 One of your Photo, “Face of third world” got many awards and good recognition to you. Can you explain story behind this photo to our readers? I actually changed the title of that photo, now it’s called “Transporter”. It’s about a van puller whose van is overloaded with the drums. It’s inhuman. Third world countries are not aware of labor laws and their rights. A labor only gets less than a dollar in a day. If they work in hazardous condition, companies not even provide protective cloths. Good Portrait Captures Soul. Can you explain about Portrait Photography and how to capture a good Portrait? 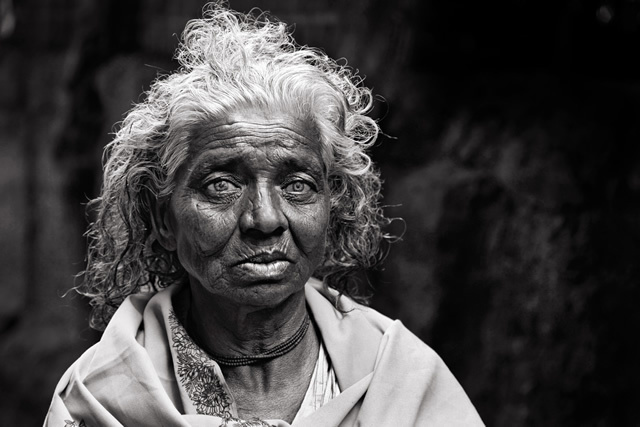 Get closer – a term in composition is the first rule for taking good portrait. Robert Kapa once said “if your photo is not good enough, then you are not close enough”. Feel the light, be closer, observe the expression then click. 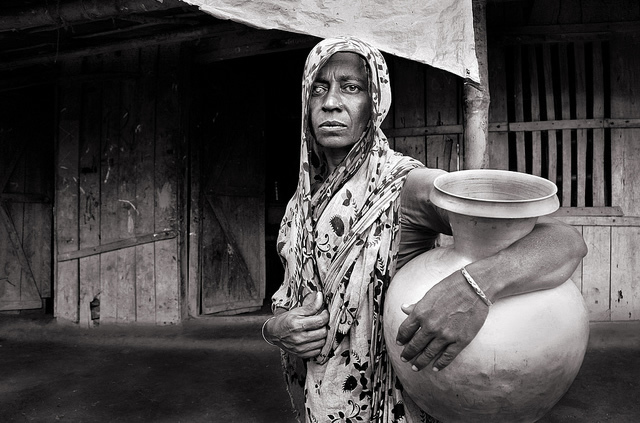 Many of your documentary photographs focus on rural Bangladesh life. Why don’t you develop your work and take it to the other regions in the world? Documentary project generally takes long time to finish. I would love to do documentary project in different country but I will require a paid assignment or project grant/funding for that. Otherwise it’s really hard. 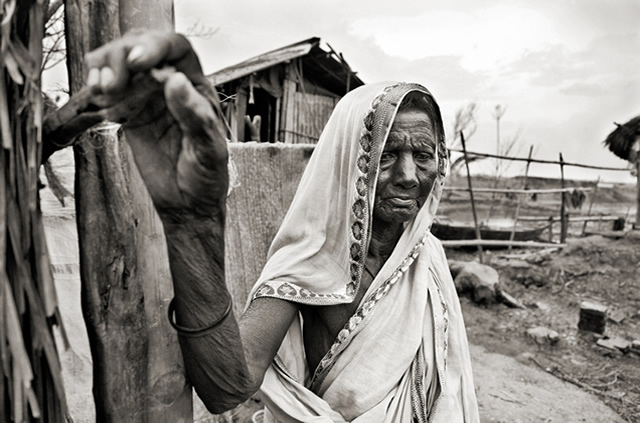 Documentary photography and photojournalism both play with truth. You can’t alter the image. Fine art photography, advertising or other genres of photography have no barriers; one can practice it with full freedom. 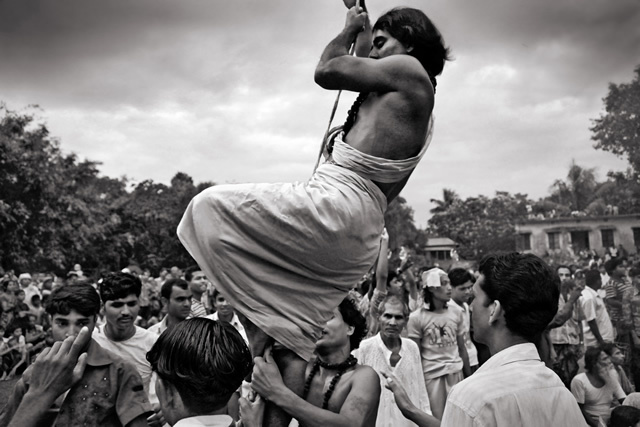 A documentary photographer must have the following qualities: – honesty, truthfulness and patience. Here is an important question. When I saw your photostream in Flickr, you have posted many of your photos used for commercial purpose without your proper approval. Did you take any action on this? Copyrights violation is increasing through the world. In Bangladesh, I fought with this and in many cases I won and got compensation. What is Post Processing and what are the Post Processing limits we have in photography? Did you recommend excessive Post Processing? According to photojournalism ethics in image editing as far as I know, the limits are brightness-contrast adjustment, color correction, black and white or sepia conversion, dodge-burn, cropping, perspective adjustment, vignette and sharpening. You can’t add or remove anything in the image. If you work with other genres of photography except photojournalism / documentary or where true image is required (e.g. passport photo) – you will have the full freedom of post processing, there is no barrier unless stated where prohibited. List some of your favorite photographs and why you like them? I have several. Among them titled as “Dreams” is one of my favorite. I shot that couple of years ago in a tea garden. It’s portrait of a woman who works in the garden. She had been suffering from jaundice, her eyes were yellow. Her expression was calm and cool. It gives such a terrific feeling of an unknown dream. What equipments you are using and why? I am a Canon guy. They have pretty good professional range cameras and lenses. Your work got published in many magazines and you also got many awards. Can you please share happiest moments in your career with our readers and also list your popular awards here? My first award was from New York Institute of Photography for “Flute Player”. I was so happy when I heard that I won. It inspired me throughout the time where I am now. My major awards are from WHO, UNESCO, UNDP, CGAP, Global Environment Facility, World Lung Foundation, CWIEM Environmental Photographer of the Year, Amnesty International and so on. Apart from Photography, tell me your hobbies and interests? Reading, watching movies and travelling are my current hobbies. Thank you 121 Clicks. For readers I just like to say, keep focus and pay attention whatever you shoot. wow, very nice Interview. Great Photographs. Nice to know about you… I am regularly following in Flickr. TFS!! Congratulation Hasan bhai…keep it up.all the best. Happy to see your interview M R Hasan, one of my favorite photographers…!! That is amazing. I am a very big fan of M R Hasan. Your Flickr Photostream is great. Nice Documentary Stories. That’s great Hasan. Nice interview. Hasan Vai,Really ,U have artistic soul as well as your eyes can also. M.R Hasan (our hasan bhai)is one of the talented photographer in bangladesh and his talent make him an idol to many young photographers.good luck hasan bahi. Nice to know about you. All the best! I really like you project SALT. Great story and pics. Great Inspiration. You have a great talent! Great pictures, loved the subjects /composition.Evokes instant reactions, loved it! amazing photographs. Almost everytime I read an interview about a photographer here, it fills me with energy and optimism. Truly inspiring.